Ahmose Sept Anno held her daughter’s hand close. They were completing a nightly ritual. Her young daughter Marie loved to take long walks and they always walked in the park or open field behind the aquatic complex. The scent of freshly cut grass and nature always left them feeling peaceful, and her young daughter needed to walk in order to remain calm. At the age of 12 the child had already shown amazing power through music. Marie could recreate any sound she had ever heard on any instrument. While she clung to the cello as if it was her very breath, she took every opportunity to touch all instruments. Ahmose took her to Naples once a week to play the piano at a studio. From the small, migrant community of Immokalee in which they called home, the journey usually took about an hour. It was worth the long drive because the joy and light in Marie’s eyes filled Ahmose with love. She had been raising Marie alone since she fled her homeland with her mother and house sisters. They had all since split in hopes of hiding from the darkness that was out for their blood and power. Ahmose’s mother spent hours weaving spells from the wind in order to preempt any strikes against them. 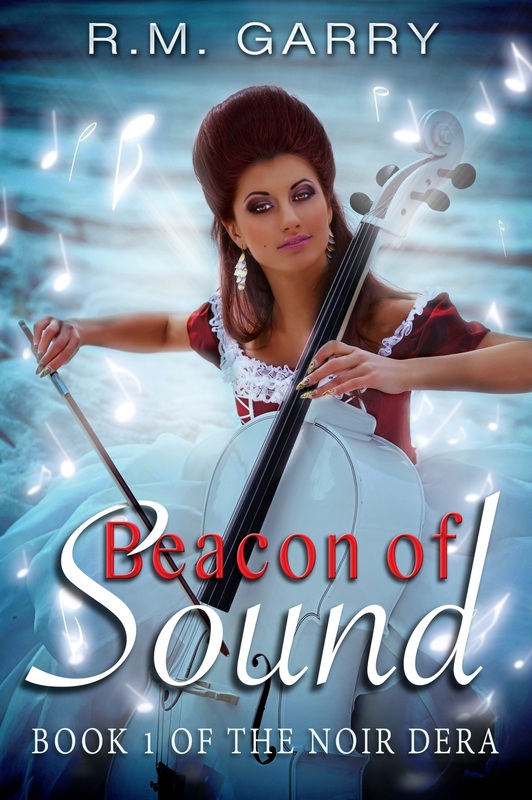 They had both decided that Marie would be encouraged to pursue her passion for music but would never be allowed to learn about the significance of her power. As long as Marie did not open herself to the Ether, no one would know of her existence. Every time Marie asked about her abilities, they just told her she was special and loved by all Gods. No matter how much she masked her powers, Ahmose knew danger was only a heartbeat away. She and her mother both felt it, and every day they felt the dark powers in Immokalee growing. Something had finally caught up with them. They worked even harder to protect Marie. Ahmose was not afraid of dying; she was afraid that both her and Gran would be killed leaving Marie at the mercy of the Dera, and she could never allow that to happen. Once this walk was over, she would double her efforts and pull more power from the new God they now served. After hiding in Haiti, their powers had been recognized by the Haitian Vodou Loa Loko. He was the only God that could make an individual a Hougan or Mambo. He had borne witness to their past and had blessed them with power, protection, and safe passage to the United States. They could never reveal their power to others or attempt to reconnect with their former God the Ether. If they chose to break that vow, they would be left open to danger and never allowed back into the fold of power. For many reasons, Marie’s powers had to be suppressed. They would have to willingly sacrifice themselves in order to help Marie gain her full powers. They would have to return to the Ether and leave Marie behind, and they were not willing to do that. As long as they both lived, the young, powerful musician that she had given birth to would be safe and remain alive. “Mommy, did you hear me?” Marie’s soft voice floated to her ears. “Yes, dearest, I heard you. What instrument do you want to play now?” Ahmose replied. Ahmose drew in a sharp breath. The instruments were starting to call Marie, she thought. They were showing her the future. The Erhu is a Chinese violin. It had been used for centuries by different ethnic groups in China and throughout the world to convey emotions through music. Their neighbor Lan Yi had only played the instrument once in Marie’s presence but Marie was able to recognize it in a dream. Before she could speak, she heard the sound of walking thunder. The thunder was not coming from the sky; it was more of a thundering vibration that was coming towards them. Her heart began to race. They were here, and they were going to take Marie away. She had to protect Marie. “Run daughter! Do not question me, just run!” Ahmose cried out. They began to run and Ahmose called to the Vodou Loa Loko and began to draw on her powers as a mambo. She called for a spell of protection which descended upon her as she began to run faster. Ahmose had a moment of relief that was immediately shattered as she realized that Marie was not covered by her protection. Loko would only protect the Hougans and Mambos, and Marie had not yet been inducted into that life. She would be protected while the life of her daughter was drained. Without warning, Ahmose and Marie were frozen still. Dark hands wrapped around Ahmose’s throat and she began to wheeze. The hands squeezed tighter and tighter. Marie saw the hands and began to cry. “Rete w ap toufe l’! Stop, you’re choking her! Mommy, mommy!” screamed Marie as Ahmose called more power. The hands around her throat began to ease. A second pair of hands began to close around Marie’s throat. Ahmose did not think or hesitate. There was a sound of fibers ripping as dark brown waves poured from the Sky and into Ahmose. She immediately shot her hands forward and ripped through the dark body strangling Marie. Marie started to wheeze, then caught her breath. The dark powers began to disappear except for one. She heard a familiar voice say, “What shall be our payment, Loko? Your mambo has broken her vow. You must pay the cost of her treason.” The figure then began to laugh. Marie began to shiver as waves of blue light began to flow from her body. A sad melody filled the air, it was the music of an Erhu. Jia Peng Fang’s “Cherry Blossoms” could be heard throughout the field and down the block. Marie shook and shivered but she never cried. She felt the wind return and her body was lifted off of her mother. Ahmose’s body rose up into the air and began to turn into brown waves and wind. The waves mixed with the wind and started floating away as the music grew louder. The brown waves wound themselves around Marie and lifted her up. After a few minutes, she was place on the ground and the waves disappeared into the sky. Marie laid down and did not get up. She waited in that very spot, hoping to wake up from this nightmare. Femi Sept Anno felt the moment her daughter left the mortal plain. She felt her heart breaking. She put her fist to her mouth and held back her tears. She called out to the winds, “Find my granddaughter!” The winds obeyed and took her to Marie. She found Marie lying on the ground. Ahmose was gone. “Marie! Come to me! Let me take you home.” It was then that Marie opened her eyes as Femi saw something that she had prayed to never see in her granddaughter’s eyes. The innocent girl she loved was gone. Sadness, fear, and hopelessness were the only things left in her brown, almost mortal eyes. She lifted her granddaughter into her arms and went home. This was only the beginning. One day she would have to give up the mortal world in order to protect Marie. Until that time, they would go home.